When violence from the drug wars with the Mexican cartels crosses the border into Arizona, and an old friend is murdered, Ali Reynolds steps in to investigate in New York Times bestselling author J.A. Jance’s fast-paced mystery. When Santa Cruz county deputy sheriff Jose Reyes, one of Ali Reynolds’s classmates from the Arizona Police Academy, is gunned down and left to die, he is at first assumed to be an innocent victim of the drug wars escalating across the border. But the crime scene investigation shows there’s much more to it than that, and soon he and his pregnant wife, Teresa, are both under suspicion. Ali owes Reyes a debt of gratitude for the help he gave her years earlier. When she’s summoned to his bedside at Mercy Medical Center in Tucson, it’s impossible for Ali to turn away. Upon arriving at the hospital, Ali finds her good friend, Sister Anselm, is there as well, working as a patient advocate on behalf of another seriously injured victim, an unidentified border crosser who was raped and savagely beaten. As more bodies begin to pile up, Ali becomes determined to seek justice, even when it becomes impossible to know where the danger is coming from. 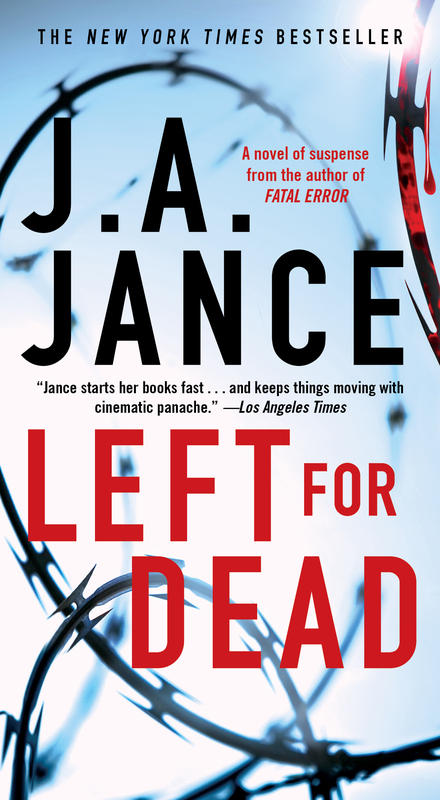 Fast-paced, tension-filled, and intriguingly complex, Left for Dead is J.A. Jance at her riveting best. This reading group guide for Left for Dead includes an introduction, discussion questions, ideas for enhancing your book club, and a Q&A with author J.A. Jance. The suggested questions are intended to help your reading group find new and interesting angles and topics for your discussion. We hope that these ideas will enrich your conversation and increase your enjoyment of the book. Left for Dead is a complex, twisting narrative about the devastating violence from the Mexican drug wars in Arizona. When several attempted murders occur within miles of each other, and two of the suspects are drug dealers, Ali Reynolds steps in to help protect the victims and prove their innocence. As more bodies pile up, Ali must confront the evil of the drug cartels across the border head-on, with no way of knowing who the next victim will be. 1. The novel opens with Breeze Domingo, a.k.a Rose Ventana, sleeping on a “sagging leather couch in a filthy apartment.” (p. 1) How does this initial introduction to Rose set the tone for the book? Do you feel sympathy for Rose’s situation? Do you like her? How much agency do you think she has in determining her situation? 2. “But if life on the street had taught her any lessons at all, the most basic was not to ask questions, especially when you don’t want to hear answers.” (p. 7) Discuss Breeze’s advice in light of her own situation. Should she have followed her own advice, or should she have asked Chico questions? Would questioning have saved her from the abuse she was about to receive? Do other characters follow this principle? Consider Al, Ali, and Sheriff Renteria in your response. 3. Discuss Ali and B.’s relationship. Are they in love? Do you think Ali is fully committed? Is B. fully committed? What specific actions or conversations showcase this? 4. Why does Olga Sanchez blame Teresa for her son’s death? Do you think there is any truth to her accusations? Why or why not? 5. What symbolism do you identify in the title Left for Dead? Which characters are “left for dead” physically? Which characters are “left for dead” emotionally? Do you think there is any particular character to whom the title refers? 6. Revisit the scene when Phil describes Cassidy’s death. Do you think Phil’s guilt about his daughter’s death is well founded? In your opinion, is Christine angry with Phil, or did she simply lose her mind? Do you blame Phil for falling in love with Olga? Do you think Olga really cared about Phil? Why or why not? 7. There are arguably many characters who could be considered the “hero” of the novel. Who would you name as the hero? Ali? Al? Sister Anselm? In your opinion, what defines a hero? 8. When Al decides to take flowers to Rose, he decides to purchase Easter lilies because, “after all, Easter was all about the resurrection. Wasn’t this the same thing?” (p. 147) In what other ways does Judeo-Christian imagery appear throughout the novel? What kind of role does spirituality play in Left for Dead? 9. On page 164, Juanita Cisco questions Ali’s motives for wanting to assist Jose and Teresa, implying that Ali has less than noble reasons for helping out the Reyes family. What do you think of Juanita’s line of questioning? Do you agree that behind every good deed is a selfish motive? 10. On page 247, Sister Anselm refers to the parable of the prodigal son in the Bible as a way to explain that perhaps not every member of Rose’s family would be happy to discover she is still alive. Read this parable aloud to your book club (Luke 15:11-32). Compare and contrast Rose’s situation with the son in the parable. How are they similar? How are they different? Were Sister Anselm’s fears justified? 11. Discuss Rose Ventana and the Fox family. Why do you think Rose ran away? Do you think her fears that her family would not accept her were logical? Ultimately, do you consider it lucky that Al told the Fox family about finding their long lost daughter? Do you think that Rose would have tried to contact her family without other characters’ intervention? 12. Discuss the role of friendship in Left for Dead. Are these characters unusual in their loyalty? What about, as in Al’s case, their devotion to complete strangers? Consider Ali, Sister Anselm, Al, Patty, Donnatelle, and Sheriff Renteria in your response. Do these characters value friendship above all else? Explain. 13. “Olga Sanchez dropped the slat of blind and turned back to Ali. Then in one fluid motion, she raised the gun to her head and fired.” (p. 383) Did this ending surprise you? What is the emotional impact of this ending? Is it sad? Happy? Bittersweet? Why? 1. Left for Dead is part of the Ali Reynolds series by J.A. Jance. Read an earlier book in the series, Web of Evil. Compare and contrast the novels. What characters overlap, and how have they developed? Which characters are new in Left for Dead, and what function do they serve? How has Ali herself developed as a character from Web of Evil to Left for Dead? Which book did your group prefer? 2. Leland Brooks, Ali’s employee and friend, is described as being a wonderful chef. His signature dish, the cassoulet, is described in the novel with great detail and is a favorite dish of both Ali and Sister Anselm. Re-create Leland’s meal with your book club. A recipe can be found here: http://www.epicurious.com/recipes/food/views/Cassoulet-233971. Over dinner, discuss Leland’s character. Why does Ali keep him as her employee? How does he figure into the story? Do you like him? 3. Left for Dead is set against the backdrop of violent drug wars on the U.S. and Mexico border. Research this current event and share a few facts with your book club members. Do you think that Jance captured the complexity of this issue? In your opinion, what makes Ali so likeable? Did any of your previous characters influence the creation of Ali’s character? I think Ali's concern for others is part of her appeal. 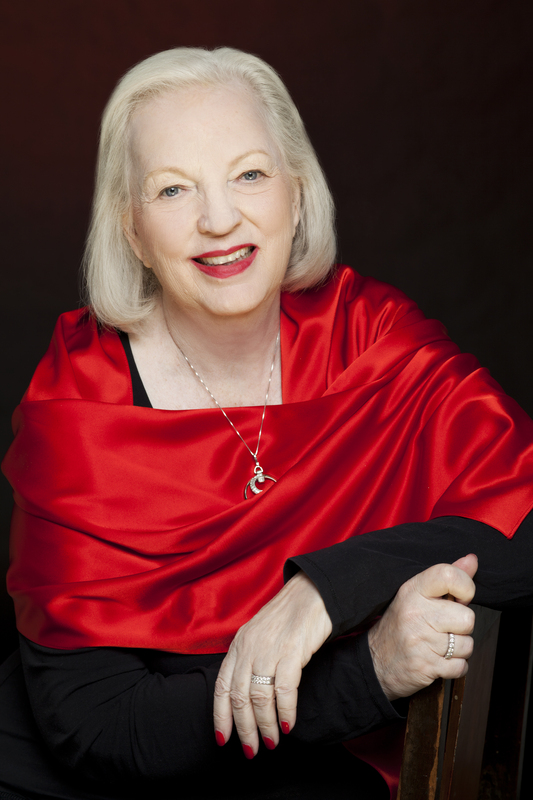 Long ago an editor told me, and not in a good way, “Judy, the problem with your characters is that they all do what they do because of the way they were raised.” I couldn't then and can't now see what that was a problem. And Ali is a chip off both the old blocks in her family. Your characters are drawn from all walks of life, from taser-wielding nuns to vulnerable teenaged runaways. Where do you draw your inspiration for your complex characters? Were any of the characters in Left for Dead inspired by real people? Years ago while on a Rick Steves “Europe through the Back Door” trip, I encountered a woman whose World War II childhood experiences are mirrored in Sister Anselm's story. Of course, I write fiction, and what happened to Sister Anselm after World War II is entirely of my creation. As for Ali herself, she grew out of the fact that a local Tucson TV station fired my favorite female news broadcaster for being beyond her “pull” date. Describe the journey you took while writing this book. Is writing the Ali Reynolds series a different experience from writing your other novels? Why or why not? Writing this book really was a journey—it took months longer to write Left for Dead than it usually takes. I believe the problem was that there were two trains of story moving forward in this book and I needed to get both trains to pull into the station at approximately the same time in a way both I and my readers would find believable. Ali remains my most recent character, and I'm still getting to know her. Booklist has referred to your writing style as “an entertaining mix of sleuthing and human relationships.” Do you think this is an accurate description of your novels? Do you tend to focus more energy on one aspect of your story than another? I actually agree with that statement. Yes, the mystery is a required ingredient, but the relationships of the people involved are an important aspect of my stories. When I was doing the galley proofs of this book, there were still a couple of paragraphs that gave me goosebumps. If the story can do that for the writer, it can do it for the reader. What made you decide to set this story in Arizona? What effect did the setting has on the book or its tone? I use Arizona as a setting because it's a part of the world I know well. I know the distances from one place to another; I know the weather; I know the towns; I know the people. It goes back to that old writing rule: Write what you know. As for tone, I believe all my books have that in common. They are set in the West. The modern West. They are not Westerns per se, but the characters react to situations in a Western fashion. You mention on your website that after reading Frank Baum’s Wizard of Oz series in the second grade, you knew you wanted to be a writer. What other influences have guided you as a writer? What author(s) do you look to for inspiration? Like many of my current female mystery writers, I ventured into mysteries with Nancy Drew and the Hardy Boys. I read Mickey Spillane and Travis Magee. What I liked about all those books was dealing with familiar people each time I opened a new book—Nancy Drew's father, the housekeeper, her pals. It's what I like about my books, too. You were born in South Dakota and raised in Bisbee, Arizona. Now you split time between Seattle, Washington and Tucson, Arizona. Explain how the place(s) you call home have helped shape you as a novelist, a poet, and a person. My parents were Midwest farm people who had the courage to pull up stakes, move to someplace new, and start over. After my divorce, I had to do that, too. I started over in a new place with selling insurance and I started a new career of writing. I think my parents were part of the inspiration that made my making those necessary changes possible. I've always felt at home in Arizona because it was home. But Washington State is the place that gave me my new life. As for splitting my time? Looking out at the gray wet weather of a Washington October, there's good reason to long for Arizona sunshine. So yes, I'm an unapologetic Snowbird. Do you have a favorite writing spot? If so, where is it? Where I am right now—in a chair in my family room with the kitchen and the coffee machine directly behind me, with my dog Bella in her chair right next door, and with a wall filled with a collection of my framed book covers to my left. Seeing all those covers hanging there together is a reminder that I've been doing this job for a long time, and that I really have created a body of work. Certainly, you favor strong female characters in your novels, and Ali is no different. She is seemingly unafraid to stand up to evil and fight for justice. Do you feel a kindred spirit with Ali? As you can see, the scholarship part of Ali's life comes from a real place for me, and yes, we both know a little about standing up to injustice—both large and small. What is next for you as a writer? What is next for Ali Reynolds? Right now I'm working on Judgment Call, the next Joanna Brady book. I have a hint of an idea about what will be in the next Ali book, but I haven't started writing it yet. That will happen soon.